I didn’t know #8. Great post! Is this for non-fiction or fiction? I could see it working for certain business related books, but I’m not sure about fiction? This seems the wrong media. There are numerous LinkedIn groups that focus on fiction works. And making real connections is crucial, no matter what the genre. Having said that, I agree that LinkedIn probably fits non-fiction authors better. Of course, books about writing or book promotion would also fit that bill. I’ve actually been writing about the use of social media for Fiction Writers, since so much of the advice is for Non-Fiction writers. Since I’d mentioned in my blog post TODAY that I only use Linked-In to repost my blog because it’s not as useful for fiction writers,.. I’m glad I’m only partially off-base. Thanks for sharing your knowledge gleaned from your familiarity with the space. I really appreciate it. I’ve linked up with a few fiction authors on LinkedIn, though non-fiction is definitely more prevalent. I need to work on LinkedIn more. I don’t use it near as well as I should. Thanks for this post! Excellent information about LinkedIn. It is the perfect place for us to shine! True, but so much more professional than Twitter or Facebook. 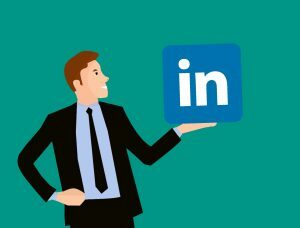 I have my blog set to automatically post on LinkedIn and have found it a wonderful way to share. Check out this great post from Nicholas Rossis’ blog with 11 tips to using LinkedIn to promote your book. Linked in seems a little too professional for me. It was more of a place to find and cooperate with similar business than to find customers. I’d definitely have a go at it again some day though. I know, that’s my feeling, too. I wonder if they’re trying to make it more personal. Many thanks for the information, it is much appreciated. Pingback: Friday Roundup – 20th April | Stevie Turner, Indie Author.